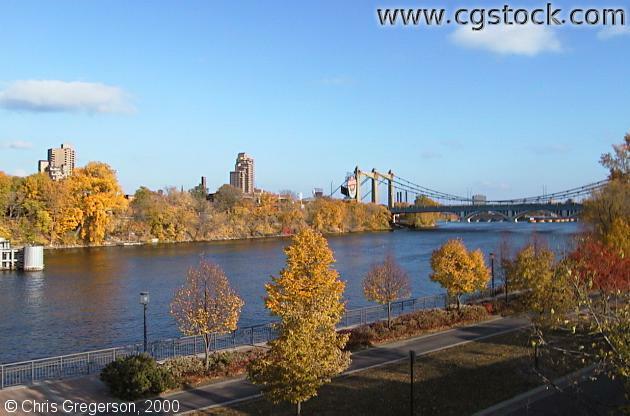 You are on West River Parkway looking east at Nicollet Island. On the right, the Hennepin Avenue suspension bridge carries Hennepin Avenue across the main channel of the river. There is a second, smaller channel on the other side of Nicollet Island. St. Anthony Falls is up ahead, marked by yellow pylons in the right background.